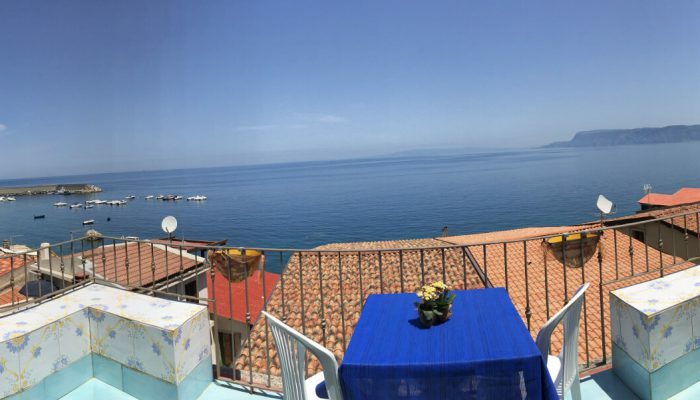 Casa Vela is a first category B&B that consist of four open space studios each about 40sqm, and a penthouse of about 80sqm with an extraordinary see view and you can also admire the amazing colours of the Costa Viola. You can get to the apartments and the penthouse going up 32 steps and the stone staircase. 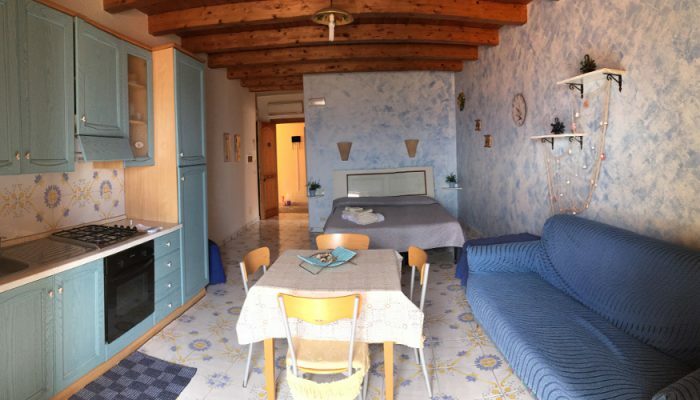 The studios are provided with every comfort: an equipped kitchen, a bathroom with a shower cabin, a hairdryer, a possibility to have from two to five beds, an air conditioning, a small safe, a tv full hd 22” and free internet connection. 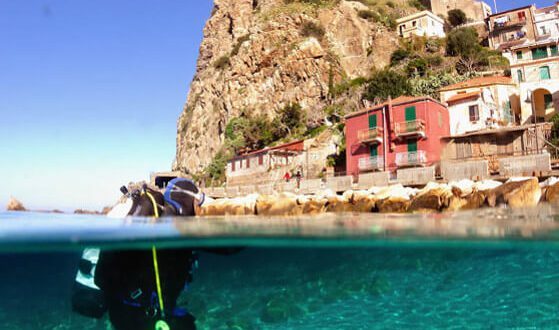 Chanalea district is full of narrow streets leading down to the sea situated just at 10 mt (no possibility of bathing), while the distance from the Beach of Mermaids is only of 600 mt where you arrive walking along the village and the port. At Casa Vela you will feel like at home and we make out of our experience and passion the soul of this B&B.